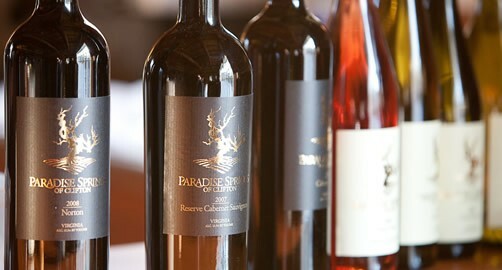 Paradise Springs is the first bi-coastal winery brand in the United States with operations in both Santa Barbara, California and Virginia. 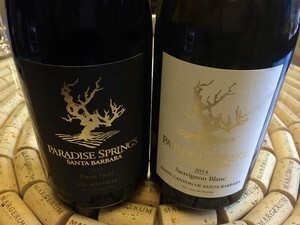 The tasting room is located in the heart of downtown Santa Barbara's The Funk Zone and is open daily for tastings of both our California and Virginia selections. The winery's production facility is located in Buellton, California and is not open to the public at this time. With a concentration on wines grown in the Sta. Rita HIlls and Happy Canyon of Santa Barbara AVAs, our west coast operation produces around 1,500 cases annually including Chardonnay, Pinot Noir, Syrah, and the Bordeaux Varietals. Purchase wines to be shipped directly to your door or picked up in the tasting room!